Jessica Tandy was a noted American stage, film and television actress of the 20th century. Read this biography to know her birthday, childhood, achievements, family life and timeline. Jessica Tandy was a noted England born American stage, film and television actress. She debuted as a stage actress at the age of 18 and in no time, she became the toast of the West End. During her early career, she shared the stage with legendary actors like Laurence Oliver and Arthur John Gielgud. But she found herself without any role when she moved to the USA during the WWII. The dry spell continued even after she moved to Hollywood with her second husband. Considered insufficiently beautiful for stardom, she eventually started doing side roles. Her first success came with 'A Streetcar Named Desire', a play which debuted in New York City towards the end of 1947.Thereafter, her career began to pick up and she performed in numerous plays, films and television shows, receiving many awards. She became the oldest actress to bag an Oscar for her work in ‘Driving Miss Daisy’. 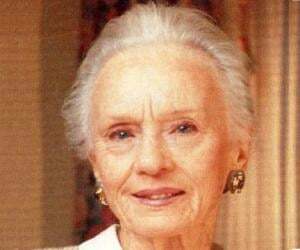 Jessica Tandy was born as Jessie Alice Tandy on 7 June, 1909 in Hackney, London. Her father, a traveling salesman for rope manufacturers, died when she was 12 years old. Thereafter, Jessica and her siblings were raised by their mother Jessie Helen née Horspool in comparative poverty. Jessie Helen Tandy was the headmistress of a school for the mentally retarded children. In order to supplement her income after her husband’s death, she took an additional teaching job at a night school. Jessica was born youngest of her parents’ three children, having two elder brothers. Although she had to struggle hard to make ends meet, Jessie Helen had big ambitions for her children, and tried to raise them intellectually above their neighbors. She regularly read them poetry and listening to her, Jessica learned to appreciate words early in her life. Their mother also took them to museums and theatres. Although Jessica loved the atmosphere at the theatre, she would start fidgeting towards the end. At home, her brothers often staged plays, but surprisingly young Jessica showed little aptitude in acting. In her own words, she was a ‘graceless lump’. For her secondary education, Jessica was admitted to the Dame Alice Owen's School, located in the London Borough of Islington at that time. But her frequent bouts of illness interfered with her studies. Her interest in theatre developed when at the age of 13, being too young to be left alone at home, she began to accompany her mother to the night school. There she enrolled in a Shakespeare appreciation class, very soon developing a love for the Bard. In 1924, 15 years old Jessica enrolled in a three-year dramatic course at Ben Greet Academy of Acting. Her mother encouraged her to do so because she thought that it was a dignified way out for her. On 22 November 1927, Jessica Tandy, till then known by her birth name Jessie Alice Tandy, made her professional début, playing the role of Sara Manderson in ‘The Manderson Girls’. The play, staged at Playhouse Six, a small backroom theatre in Soho, earned her an invitation from Birmingham Repertory Theatre. After a brief stint with the Repertory, her career began to progress rapidly. In 1929, she debuted at the West End, securing a role in C. K. Monroe’s ‘The Rumour’. In 1930, she made her Broadway debut, appearing as Toni Rakonitz in ‘The Matriarch’. It was during this trip that she changed her name from Jessie to Jessica on the suggestion of the play’s producer, Lee Shubert. On her return to England, she was invited by the Oxford University Dramatic Society to play Olivia in Shakespeare’s ‘Twelfth Night’. Although she accepted the offer, she longed to play Viola. In 1932, she sensationally played the role of Manuela, an impetuous schoolgirl, in Christa Winsloe's ‘Children in Uniform’. Her portrayal was so intense that after one performance, the audience was too moved to clap, sitting quietly even after the show had ended. In 1932, she debuted in a film, appearing as a maid in ‘The Indiscretions of Eve’. Throughout this period, she continued to perform in contemporary plays, appearing in more than two dozen of them. Concurrently, she began honing her skills in classics, especially in Shakespeare. It was a dream come true for her when she was asked to appear as Viola at the Old Vic in February 1934 and at the Manchester Hippodrome in April. In November, she appeared as Ophelia in John Gielgud’s legendary play, ‘Hamlet’, which was staged at the New Theatre. In February 1937, Jessica appeared as Viola in Tyrone Guthrie's ‘Twelfth Night’, sharing the stage with Laurence Olivier. She also played the role of Sebastian. In the same year, she once again co-starred with Laurence Oliver in ‘Henry V’, playing the part of Katherine. In 1938, she appeared in her second film, 'Murder in the Family', portraying the role of Ann Osborne in. Meanwhile, she continued to work on stage. By then, she had become the toast of the West End. In 1940, Tandy appeared as Cordelia with Arthur John Gielgud in ‘King Lear’ and as Miranda in ‘Tempest’ at Old Vic. Shortly after that, the theatre hall was badly damaged by German bombings and all performances were stopped. The same year, her marriage ended in a divorce. In 1940, after accepting an invitation to star in the play, ‘Jupiter Laughs’, Jessica Tandy moved to New York City with her six years old daughter. Because of the ongoing Second World War, she was allowed to take very little money out of the country, which lead to a severe financial stress. In September 1940, ‘Jupiter Laughs’ opened on Broadway at the Biltmore Theatre. She appeared as Dr. Mary Murray in it. In spite of doing well, she did not get another role because of a Broadway restriction that forced foreign actors to wait for six months between two engagements. She now started playing Princess Nadia in the radio show, ‘Mandrake the Magician’, which was broadcast on the Mutual Broadcasting System from November 11, 1940. She later said, "That was a tough time. 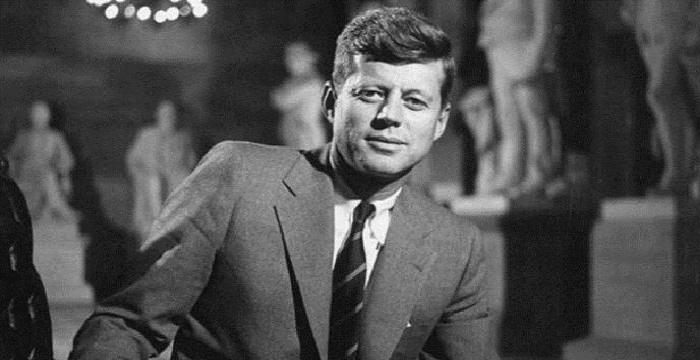 It mattered terribly that I should make a living and I couldn't." In April 1942, she returned to the stage, appearing as Cattrin in ‘Yesterday’s Magic’. In the same year, she got married to Hume Cronyn and moved to Hollywood where Cronyn had secured a role in Alfred Hitchcock's ‘Shadow of a Doubt’. In Hollywood, Tandy was not considered beautiful enough to be a star. In fact, for the first two years, she did not get any role. Finally, in 1944, she got a side role in ‘The Seventh Cross’, a film in which her husband Cronyn starred as Paul Roeder. Until 1947, Tandy continued to appear in side roles in various films. She was Louise Kane in ‘The Valley of Decision’ (1945), Kate Leckie in 'The Green Years' (1946), Peggy O'Malley in 'Dragonwyck' (1946) and Nan Britton in ‘Forever Amber’ (1947). Jessica Tandy’s luck changed, when in January 1946, she appeared in Tennessee Williams’ ‘Portrait of a Madonna’ at the Las Palmas Theater, Hollywood. Her performances caught William’s attention, and he offered her the role of Blanche DuBois in his next production, in 'A Streetcar Named Desire'. 'A Streetcar Named Desire' debuted at Ethel Barrymore Theatre in New York City on December 3, 1947. It was a great success for Tandy who won a Tony Award for her role. A review by Brooks Atkinson in The New York Times described her performance not only superb, but also "almost incredibly true”. In 1948, she got her first lead role in the film, 'A Woman's Vengeance', in which she appeared as Janet Spence. Next in 1950, she played the role of Catherine Lawrence in ‘September Affair’. Concurrently, she continued to perform on stage, appearing as Hilda Crane in the Broadway production of the same name in 1950. In spite of her success in ‘Streetcar’, she was overlooked when the play was adapted into a film in 1951. Instead, she appeared as Frau Lucie Maria Rommel in ‘The Desert Fox: The Story of Rommel’ in the same year. In 1951, she also appeared as Agnes in ‘The Fourposter’, a two-character play, which opened at Ethel Barrymore Theatre on October 24. 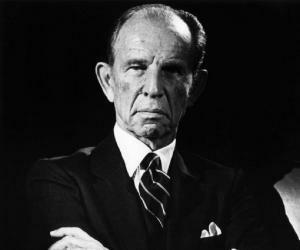 Hume Cronyn played her stage husband, Michael. Thereafter, the husband-wife duo collaborated on a number of stage productions. In the late 1950s, Tandy appeared in two films, ‘The Glass Eye’ and ‘The Light in the Forest’ as well as in three episodes of the television anthology series, ‘Alfred Hitchcock Presents’. She won critical acclaim for her role in the Broadway production, ‘Five Finger Exercise’. ‘Hemingway's Adventures of a Young Man' (1962) was her next important work. Appearing in it as Helen Adams, Tandy received a Golden Globe nomination for the role. Alfred Hitchcock’s film, ‘Birds’ (1963), and Edward Elbee’s Pulitzer Prize winning play, ‘A Delicate Balance’ (1966), were her two other important works of this period. She began the 1970s by appearing as Marjorie in ‘Home’ (1971) and as the Mouth in Samuel Beckett’s dramatic monologue, ‘Not I’ (1972). In the latter play, dressed in all black,. Her teeth were coated and polished as the whole focus was on her mouth. In 1977, she appeared as Fonsia Dorse in ‘The Gin Game’, winning two prestigious awards for it. Meanwhile, she had also appeared in two films; as herself in 'Bicentennial Minute for August 31, 1775, Destruction of Boston's Liberty Tree' (1975) and as Edna Shaft in 'Butley' (1976). The 1980s was a busy decade for Tandy and her career took an upward swing all of a sudden. In 1982, she won two more prestigious awards for her role of Annie Nations in the Broadway production of ‘Foxfire’. In 1983, she appeared as Amanda Wingfield in the play, ‘The Glass Menagerie’. During the early 1980s, she also appeared in a number of films, such as ‘Honky Tonk Freeway’, ‘The World According to Garp’, ‘Still of the Night’, ‘Best Friends’, ‘The Bostonians’ and ‘Terror in the Aisles’. Then in 1895, she was praised for her role in ‘Cocoon’. In 1986, she appeared in her last stage production, playing the role of Lady Elizabeth Milne in ‘The Petition’, for which she received her last Tony Award nomination for best actress in a play. In 1987, she appeared in two films; ‘Foxfire’ and ‘Batteries not Included’, winning prizes for both. In 1989, she had her greatest triumph, appearing as Daisy Werthan in ‘Driving Miss Daisy’. Before that, in 1988, she had appeared in ‘The House on Carroll Street’ and ‘Cocoon, the Return’. In 1990, Tandy was diagnosed with ovarian cancer. In spite of that, she continued acting, appearing in ‘The Story Lady’ and ‘Fried Green Tomatoes’ in 1991. She received several award nominations for her performances both movies. Continuing to act despite her illness and age, she appeared in ‘Used People’ in 1992 and ‘To Dance with the White Dog’ in 1993. In 1994, she appeared as herself in a documentary titled, ‘A Century of Cinema’; and two films, ‘Camellia’ and ‘Nobody’s Fool’. The last two films were released posthumously. 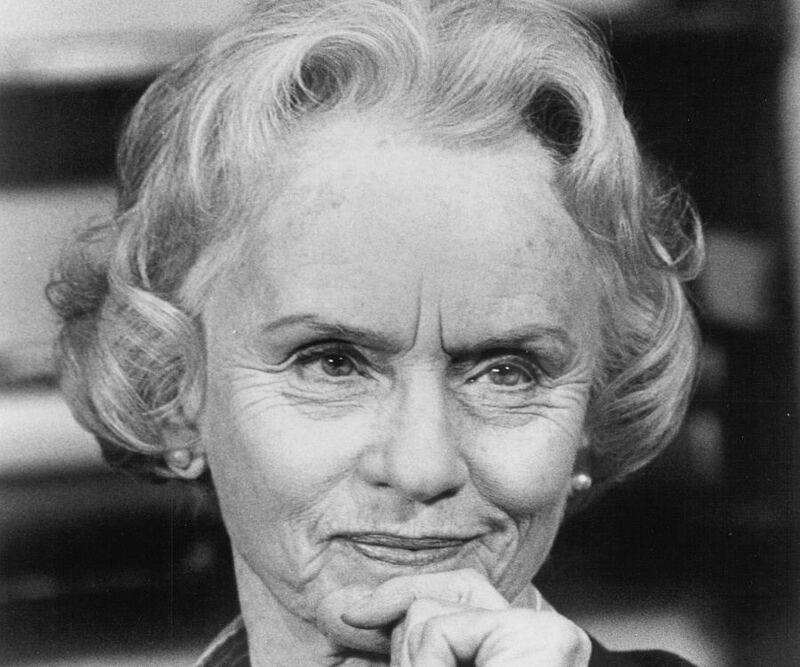 Jessica Tandy is best known for her 1989 film, ‘Driving Miss Daisy’. Appearing as Daisy Werthan, an aging and stubborn Southern-Jewish matron, she received seven awards and three nominations for her work. She also became the oldest actress to win an Academy Award. On 22 October 1932, Jessica Tandy married English actor Jack Hawkins. The couple had a daughter named Susan. The marriage broke up after eight years, and their divorce was granted on 2 January 1940. In September 1942, Tandy married Canadian actor Hume Cronyn, spending the next 52 years with him. The couple had two children; daughter Tandy Cronyn and son Christopher Cronyn. Born British, she became an American citizen in 1952. In the last four years of her life, Tandy struggled with ovarian cancer. She also suffered from glaucoma and angina. She died on 11 September 1994 at the age of 85. In 1927, for her role in ‘The Manderson Girls’, Tandy received a salary of two pounds a week; but she was required to buy five elegant costumes with that money. As such elegant dresses were too costly for her financial condition, she had to sew them herself.